These days, do-it-yourself implies building a headboard out of pallet wood. 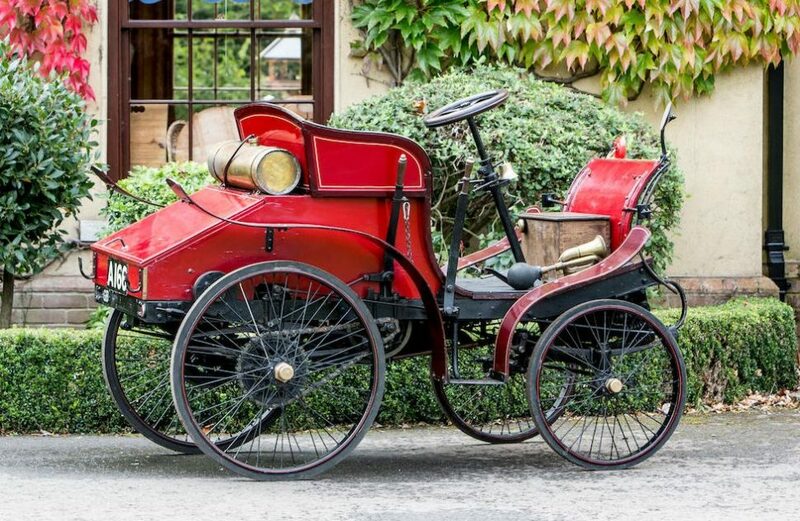 When the automobile was still in its infancy, the term called for a wider range of skillsets in order to cast and machine the engine for a scratchbuilt horseless carriage, as illustrated by the circa-1900 English Mechanic plan-built automobile coming up for auction next month. Long before Mechanix Illustrated published guides for rolling basic sheetmetal shapes over a Ford chassis to build a sports car, Thomas Hyler White had an idea. An engineer who had worked for Daimler shortly before the turn of the century, Hyler White came to the conclusion that just about any bloke could build his own automobile rather than purchase one from the nascent auto manufacturing concerns – as long as he had an engineer like Hyler White to guide him. So Hyler White began publishing plans through English Mechanic and World of Science magazine. 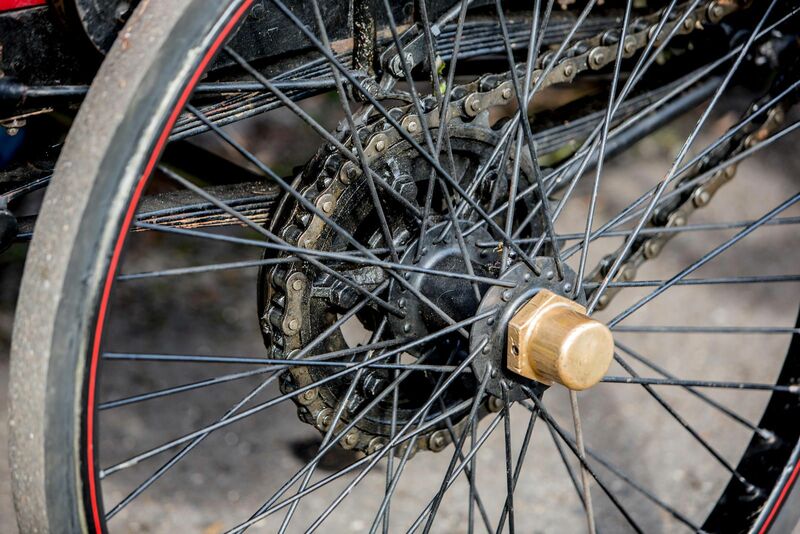 In 1899 came a set of plans for a gas-powered tricycle, and in 1900 he started a 31-part series of articles on A Small Motor Car and How to Build It. As Bonhams noted, the rear-engined 3hp single-cylinder horizontal-engine belt-and-chain-drive horseless carriage design that Hyler White chose was rather dated, even then, and evolved during the course of the series as Hyler White saw where he could improve it. But the series also explored the in-depth processes necessary for building such a vehicle, including the construction of a radiator and the casting and machining of the cylinder and other engine components. Granted, Hyler White did have an ulterior motive: After leaving Daimler, he went to work for David J. Smith in London, a firm that specialized in castings specifically for blokes who read do-it-yourself articles on how to build automobiles from scratch. Undoubtedly dozens of British tinkerers and shedhobbits started their own Hyler White-design motor cars, and many of them abandoned the projects partway finished. Some, though, did see theirs through to completion, among them one English Mechanic reader who left no forwarding address or scrap of identity on the car he abandoned in a field in Kent. Thus, when C.A. Smith came across the motor car with a tree growing through its chassis in 1921, Smith declared it an 1897 Benz and fixed it up enough to start (but not finish) the London-to-Brighton run by 1928. Over the next several years, the motor car changed hands and identities multiple times. After subsequent owners decided it couldn’t be a Benz after comparing it to documented Benzes, they guessed it was a French Hurtu. But it didn’t look much like a Hurtu either. It took until the 1950s for its then-owner Reg Taverner to realize the motor car’s true origins, though he apparently never uncovered the name of the English Mechanic reader who built it according to Hyler White’s plans. 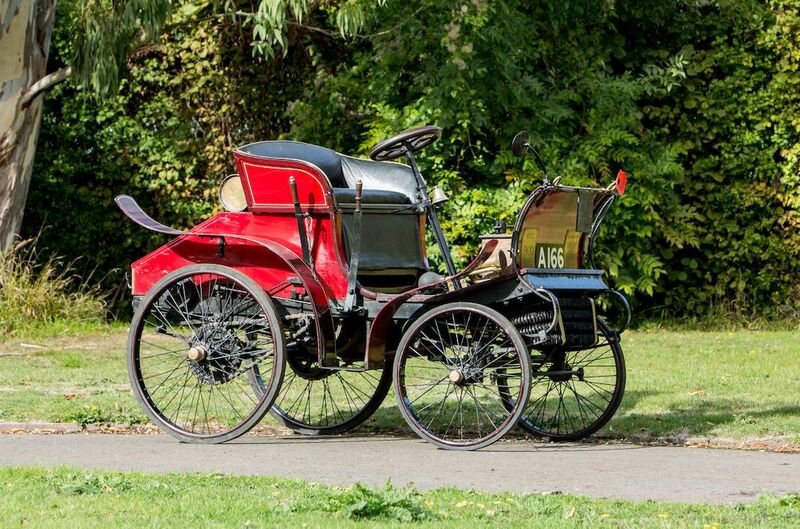 Since then, other such English Mechanic homebuilt motor cars have surfaced, but this one in particular, registration number A166, is believed to be the earliest of them and thus, according to Bonhams, “the world’s oldest DIY motor car” (excluding, of course, all the auto pioneers like Gottlieb Daimler, Karl Benz, and Henry Ford who, you know, built their own cars). 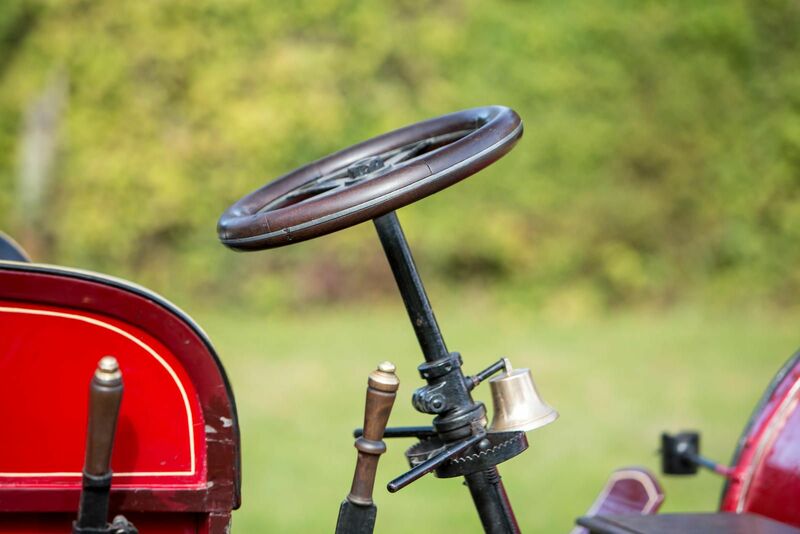 The English Mechanic motor car will cross the block at the Bonhams London to Brighton Run sale, which takes place November 2 in London. Bonhams expects the car to sell for £65,000 to £85,000 (about $84,000 to $110,000). For more information, visit Bonhams.com.